In this Fundrise review, we’re going to show you how Fundrise works, what the potential returns and risks are, and help you determine whether a Fundrise investment is best for you. 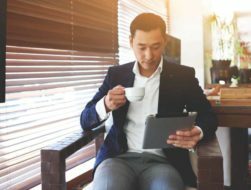 If you’ve hung around the investing water cooler, you’ve probably heard that real estate is one of the top ways to build wealth. And even though real estate investing is one of the most popular ways to reduce risk and diversify a portfolio, getting started usually requires a lot of money up front. That’s where Fundrise steps in. Fundrise is an online real estate investing company. They aim to bring residential and commercial real estate investing to the average person — and eliminate the need to have tens of thousands of dollars to get started. With direct investment REITs, your money goes straight to the properties. That means you get exposure to dozens of assets with a single investment. But should crowdsourced real estate investing have a place in your investment portfolio? What returns can I expect from Fundrise? Couldn’t I just buy a publicly-traded REIT? What happens if I need to sell my shares? Who Should Invest with Fundrise? Best for: Someone looking to access real estate investing with less capital and who is willing to tie up their money for several years. The Bottom Line: If you have a long-term investment outlook and are looking to diversify into real estate without a tremendous amount of capital to commit, Fundrise is a solid choice. However, due to the newness of crowdsourced real estate investing in general, Fundrise is not a good fit for someone who isn’t prepared to see potential steep valuation drops in an economic downturn. Fundrise has an A+ rating with the Better Business Bureau. According to BBB, Fundrise has been accredited since 11/23/2016 and they have been in business for 7 years. Before we go too far in our Fundrise review, we need to talk about what exactly it is. Fundrise is a real estate crowdfunding company founded in 2012. Its main products are eREITs and eFunds. They allow the average investor to access broader portfolios of real estate assets by purchasing shares. 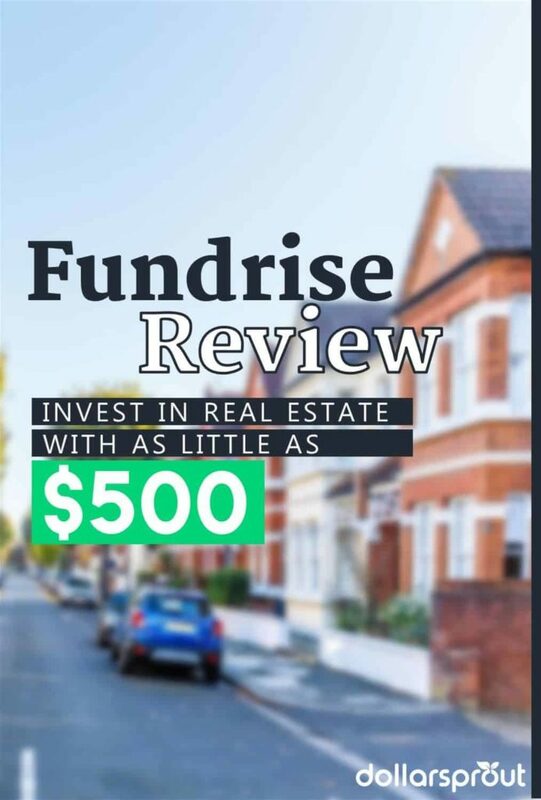 At Fundrise, with just $500 you can invest in a starter portfolio of private real estate deals. eREITS are real estate investment trusts that focus on private commercial real estate. Those REITs either buy and manage income-producing commercial properties or offer mortgages to such assets. eFunds are portfolios of single-family housing rentals or developments in areas where there are housing shortages. Changes in the property values. These REITs are a unique aspect of Fundrise. Most crowdfunding platforms require you to individually invest in each project, instead of buying a more diverse portfolio. There are questions about the “Fundrise app” circulating, but as of yet, Fundrise has not release an app for their service. Everything is done through the Fundrise website (which is mobile friendly) but not on a dedicated app. You can still use Fundrise on your mobile device but just be sure to go directly to their website to login. To date, Fundrise has invested over $1.4 billion in over 150 real estate assets across the U.S. These assets are divided into five eREITS and three eFunds with a range of risk profiles and investment goals. Fundrise looks to offer improved investment returns for the average investor. They do this by taking advantage of the premium returns typically experienced in the private market. Public investments – things traded on an exchange like stocks or bonds – have higher liquidity and transparency, which increases demand and drives prices up. Fundrise estimates that this liquidity sacrifices one-third of your long-term returns. However, the average investor can’t get into private investing on their own. You often need hundreds of thousands, if not millions of dollars to do private deals. So, Fundrise uses the collective might and assets of thousands of investors to get a seat at the table. Fundrise actively finds and acquires midsize real estate on behalf of investors. Then the company improves the assets to increase yields from property management fees, rents, or an eventual sale of the asset. Alternatively, the company offers mortgage loans for large commercial projects. In those cases, the investors are compensated by the interest payments from the mortgages. Then, each of the acquired assets is allocated to one of five eREITs or three eFunds. At Fundrise, you aren’t investing in a specific asset, or even a particular eREIT or eFund. Investors have the choice of three main portfolios – Supplemental Income*, Balanced Investing, or Long-Term Growth – that each offer different risk profiles based on your investment goals. *Access to the Supplemental Income plan is temporarily closed as the fund is reaching its sales limit. Return Potential In 2017, the annualized return across all Fundrise funds was 11.44%. This is calculated by Fundrise and includes property appreciation through the period, not necessarily reflective of the realized returns seen by investors. Asset Types Real estate debt and equity. Liquidity You can request to redeem shares on a quarterly basis, but selling may come with a fee. Also, Fundrise does not guarantee that the cash set aside for redemptions will be able to fulfill all requests in a given quarter. This could be a concern in a downturn. New types of investing naturally create a whirlwind of questions. While we could make this section pages long, we are going to stick to the top questions to which we think you should pay attention. That’s the million dollar question that we need to cover in our Fundrise review. Unfortunately for you (and me) I am not a fortune teller. While we can look at historical returns to get an idea of potential future returns, no one knows what the future will hold. However, Fundrise does have a promising track record. Taking a look at historical returns, Fundrise has been around the high end of its projected long-term returns in 3 of the last 4 years. In that time, the company has grown assets under management (the number of dollars they are actively investing) significantly, which also plays into the steep cumulative total returns chart shown below. Fundrise and other asset managers do provide projected annual returns to help guide investors to their target returns. They don’t want you floating out there in space expecting a 200% return when they were aiming for 10%. Fundrise’s Balanced Investing Plan has a projected annual return over 20 years of 7.8% to 11.5%. Both of the other plans fall in very similar ranges. The Supplemental Income plan targets a slightly lower return and the Long-Term Growth plan is marginally higher. It’s important to note in our Fundrise review: This projected range is simply some (very) smart people doing their best to predict the future. They could be wrong. You could see better returns, or you could see much worse. And when you start changing the timeline — for instance, if you want to take your money out in 5 or 10 years, the range of potential returns widens. It should go without saying that investing in real estate is designed to be a long term investment strategy. Related: Looking for faster ways to make money? Check out these 19 ways you can make money online. A publicly traded REIT will give you exposure to commercial and residential real estate, likely with lower fees and greater liquidity. But there are a few fundamental differences to remember. Publicly traded REITs are more likely to be correlated with the stock market than the broader real estate market as the investor base is more likely to be stock market investors, so they follow similar behavior. Most publicly traded REITs are much larger than Fundrise, and thus have to focus on larger deals. A small deal won’t make a dent in their overall returns. Fundrise gives you access to a different class of real estate, namely mid-sized commercial and residential assets. Returns for publicly traded REITs are generally lower than non-traded REITs over the long-term. However, this has not been tested for Fundrise. The company is only six years old and crowdsourced real estate investing for the average investor is a very new concept. Fundrise expects investors to hold shares for at least five years. Luckily, you do have the option of selling shares before then if you need to. Investors can request share redemptions from Fundrise on a quarterly basis. Except for the 90-day guarantee window, sales are based on the current market price. We need to note in our Fundrise review, however, that there are fees associated with selling before a five year holding period. Within 90-days of initial investment, Fundrise will buy back your shares at your original cost. Shares held 90 days to 3 years are sold at a 3% discount to the current price. 3 to 4 years are sold at a 2% discount. 4 to 5 years are sold at a 1% discount. There is no fee for selling shares held for over 5 years. It is important to consider that this is a request to sell your shares, not a guarantee. Fundrise sets a certain amount of cash aside each quarter to handle share redemptions. If requests exceed that limit, the company may not be able to honor all requests. This is important because we have never seen how Fundrise performs in a downturn. If investors all request redemptions at one time, it could cause a bank run on the platform. You will still have the asset value of the real estate backing your shares, but if Fundrise has to sell an asset quickly or at an inopportune time to honor redemptions, it could significantly impact returns. An influx of redemption requests has shut down hedge funds and private equity funds in the past, and it is a risk here. Unfortunately, yes. Our Fundrise review would not be complete if we did not share all fees involved. Fundrise is upfront about their 0.85% asset management fee and 0.15% advisory fee. But the other fees? You’ll have to dig through the offering circulars filed to find them. Non-traded, private REITs like Fundrise are complex and have underlying fees that come up in the course of business. Quantifying the impact of these fees is difficult because it depends on the activities of the fund over the course of time. Fees associated with setting up a new eREIT or eFund can amount to 0% to 2% of the money raised from investors. You may experience development fees of up to 5% of total costs, excluding land, in eFunds that are building new properties. And there are fees when Fundrise sells property from an eFund. Overall, Fundrise’s fees are roughly 10% of those charged by similar non-traded REITs. This is somewhat comforting, as the SEC has shown that just up-front fees at non-traded REITs can often consume up to 15% of an investor’s initial investment. Before investing in Fundrise, or any non-traded REIT, take the time to read the Offering Circular for the fund and the SEC’s Investor Bulletin on the topic to understand the potential fees and risks. Fundrise can be great for investors who have a long-term outlook and are comfortable tying up their investment for several years. While you can sell your Fundrise shares inside the 5-year holding period, fees will apply. It’s also ideal for investors who want to diversify beyond stocks and bonds without getting into the hands-on nature of real estate. With Fundrise’s eREITs and eFunds, even the process of selecting assets is out of your hands. And finally, you have to be comfortable with the risks. Keep in mind that this platform and investment methodology has yet to be tested in an economic downturn such as the housing crisis in 2007-’08. Fundrise’s technology brings private real estate investing, and the potentially higher returns, to investors in an easy-to-use platform. However, the simple packaging and optimistic future return projections featured prominently on the site may lead some investors to overlook the higher risks associated with such an investment. These risks are buried in the 200+ page offering circulars filed with the Securities and Exchange Commission for each of their nine investment plans. Higher potential returns come with higher risks. Don’t invest in Fundrise without taking the time to understand the long-term commitment you’re making. Check your asset allocation to ensure that you need more real estate exposure. Be sure to include your home and any publicly traded REITs! If you’re a risk-averse investor that gets queasy watching the ups and downs of the stock market, this probably isn’t for you. But if you are positive on the long-term outlook for commercial real estate and urban housing, want to diversify beyond stocks and bonds, and are willing to take the associated risks in hopes of achieving higher long-term returns, Fundrise is an easy-to-use and well-developed offering. With Fundrise’s 90-day guarantee, there is no risk to signing up for a Starter Plan and testing the platform for your own needs. Hopefully we have answer all of your burning questions in our complete Fundrise review. But if we’ve missed anything, please don’t hesitate to leave a question for us in the comments!